For any small business, FormDocs makes it easy for you to use electronic forms software, saving you substantial time, paperwork, and commercial printing costs! FormDocs can do the same for your small business. 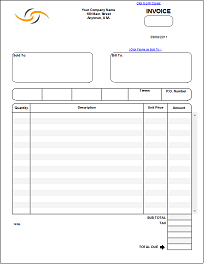 Use our free ready-made sample forms, convert your paper forms or files, or design your own custom forms. In no time, you'll have professional-looking, customized Quotation Forms, Sales Order Forms, Invoice Forms, Work Order Forms, and Reports that ensure correct data entry, calculate totals, and are safely stored in a Forms Database where you can quickly search, sort, locate, and print any form in seconds. The result? Your business image is enhanced, no more lost paperwork, faster turnarounds, and more time to do what you do best - manage your business! Capture handwritten signatures using a Windows Tablet computer or popular signature pad devices. 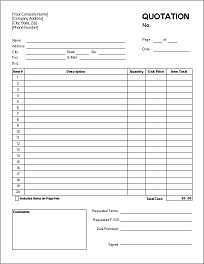 E-Mail your completed quotations, invoices, purchase orders, and forms in PDF format to customers and vendors so they can immediately view and print them.